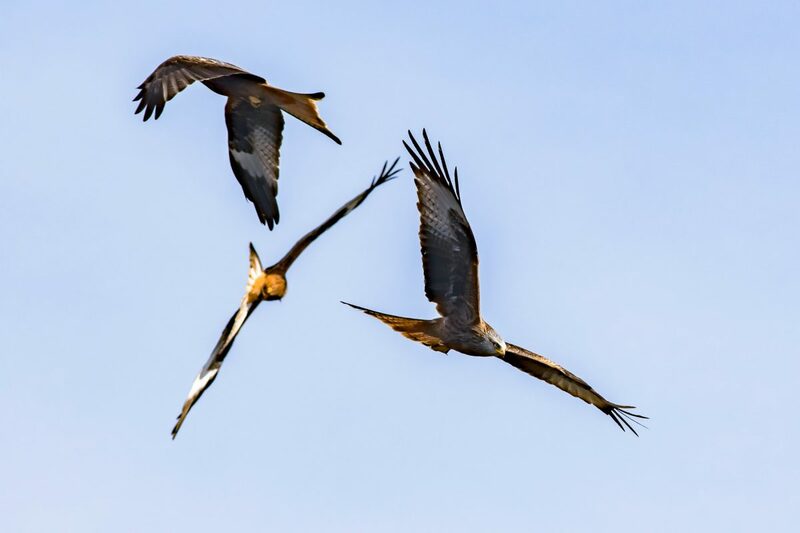 This is the spectacular moment the once near-extinct red kite was spotted descending on a feeding station. Amateur photographer Wayne Lewis, 38, described capturing the scene as a “true spectacle of nature”. More than 150 of the birds visit Bwlch Nant-Yr-Arian, a feeding station near the village of Ponterwyd in Aberystwyth, in Wales, every afternoon for 15 minutes. They appear just before feeding time at 3pm and disappear soon after. 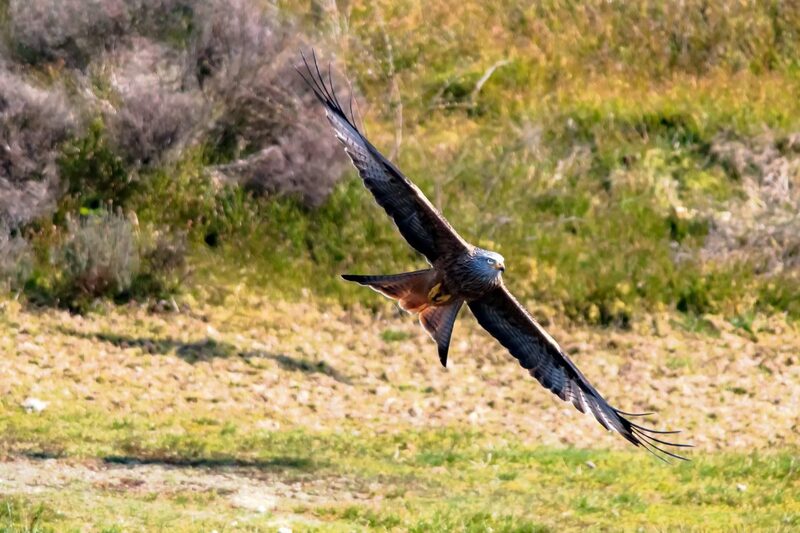 And his photos show in spectacular close-up detail the majestic birds soaring through the air. Wayne said: “This is a surreal experience with large birds of prey filling the sky. “They kept swooping down in numbers but within 15 minutes were gone and the skies were empty again. It is a true spectacle of nature. 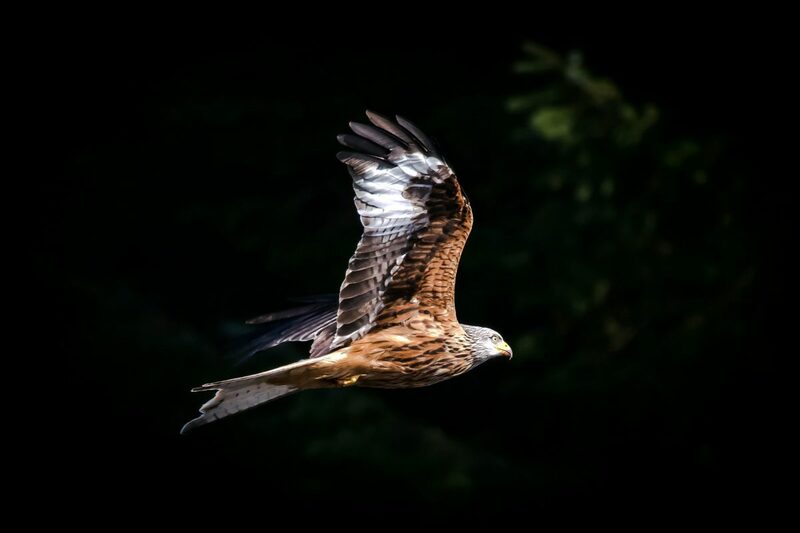 “This red kite emerged from the shadows in front of some trees and I managed to take the photo just as it entered the sunlight from the low afternoon sun. 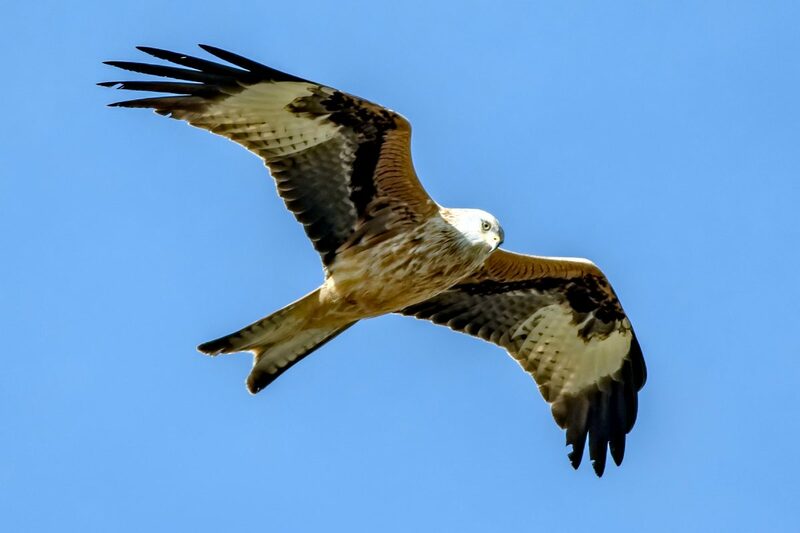 For more than 400 years the bird of prey was killed as vermin and by the 1960s there were just 20 pairs. Its current conservation status is ‘near-threatened’.